**Attention: Again, in contrast to a more typically relaxed pace for SEE, we recommend subscribers look at the subscriber-only section before any immediate trading for news relating to spring debt level redeterminations for oil and gas producers. No April Fool's joke—this month's SEE article is early for scheduling reasons. US vehicle miles traveled has been steadily increasing, an average of 3.5% for 2015 and the highest-ever January total in January 2016. Low prices and mild weather also led to a record March 2016 U. S. gasoline consumption of 9.4 million barrels per day (BPD). By contrast, U.S. gasoline consumption in March 2014 and 2015 was 8.8 million BPD. Importantly, April marks a transition toward summer gasoline season. Given relatively high inventories of gasoline and low prices for its major feedstock—crude oil--2016 promises to be another summer of low prices everywhere. Except in California. 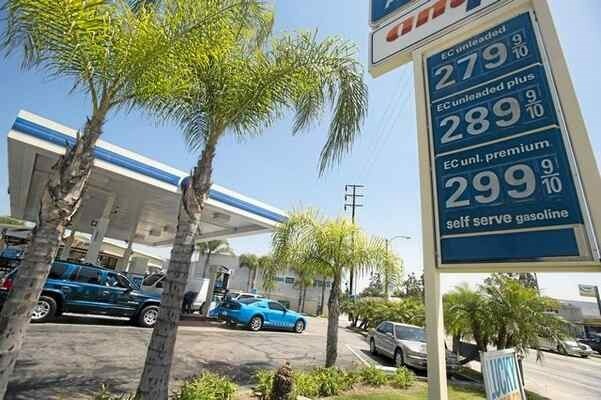 At least six reasons exist for the anomalously high California gasoline prices. Five factors appear to be permanent or nearly so. One is a temporary problem that arose in February 2015, and its resolution is taking longer than expected. *California and the West Coast (USWC) are geographically isolated from the other major gasoline-producing centers of the US on the Gulf Coast and near Chicago. No petroleum product pipelines connect from other parts of the country to the USWC. Pipelining is the cheapest method of shipment. Any gasoline brought in must be shipped on the water, a longer and more expensive process, especially if Jones-Act tankers must be used. *While California has more access to Alaskan North Slope (ANS) crude and to its own indigenous supply, those sources are declining dramatically. The state has little railroad access to the new US unconventional crude supplies; any such crude brought in is railed to the Northwest and then shipped south on the water. The state does have access to Middle Eastern crudes which form an increasing part of its supply. *California's state gasoline tax is 40.6 cents/gallon, far higher than most states, and higher than the US volume-weighted average of 30.3 cents/gallon. Everyone also pays the federal excise tax of 18.4 cents/gallon. *The state's many regulations and limitations on land use, environmental care, emissions, industrial operations, etc. add to the cost of refining. "Summer gasoline" is different than "winter gasoline" in California, as it is in many places across the United States. To minimize vaporization and smog, summer gasoline is produced to have a lower vapor pressure. This is a longstanding change and is especially important in any city that is within a "bowl" (surrounded by mountains), like Phoenix and San Francisco. But more simply, dramatically reducing vaporization of gasoline that otherwise occurs during hot weather improves air quality everywhere. California's summer gasoline specs are particularly stringent, and thus more costly to meet. *The longer-term "temporary" factor has been the loss of most of the capacity of ExxonMobil's Torrance refinery. In February 2015 an explosion damaged much of the refinery. The company's early repair proposals met with delay and resistance from the state of California. The newest restart request, done in the safest sequence, would lead to penalties for violating the state's air regulations, and something ExxonMobil is unwilling to incur. So a large, efficient refinery due to be up and running by late summer 2015 is still offline. In the meantime, ExxonMobil has sold the Torrance refinery to PBF. The sale will be completed once ExxonMobil completes the refinery repairs and it is back to full operation. The offline refinery represents 8% of California's operable refining capacity.